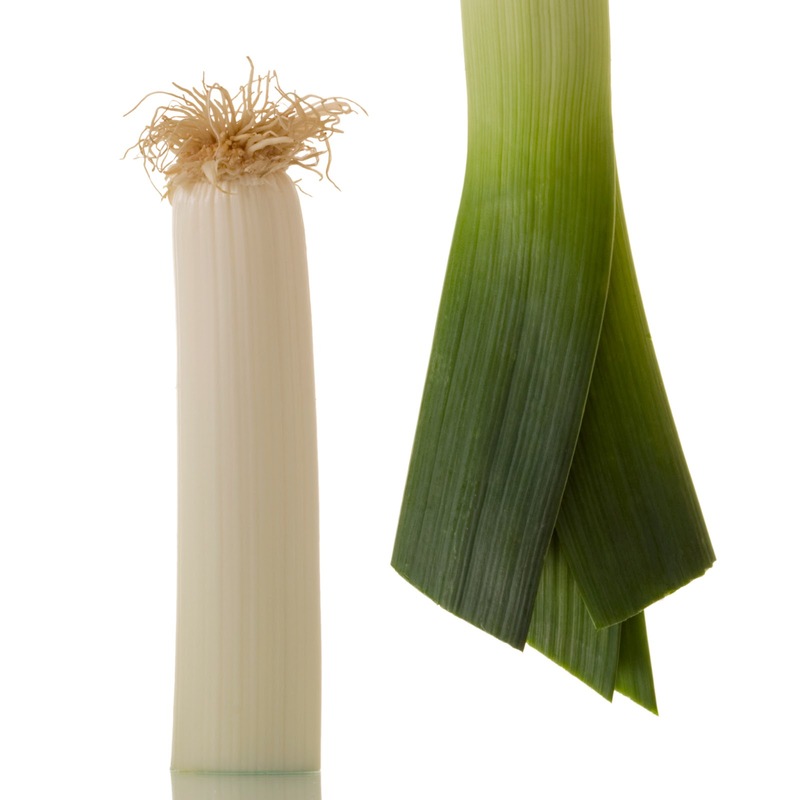 I know what you’re thinking… Leeks??? What??? I had heard of these before but if the wasn’t enough to turn me off of them, the way they looked were. I mean.. I know I’m not supposed to judge a book by its color… or a veggie by it’s appearance, but these are some weird looking things. I can honestly say that I wouldn’t have ever bought them. I participate in a co-op here called Bountiful Baskets. It’s an organization that is made up by volunteers. The way it works is at the first of the week, you buy your basket, which consists of a bunch of fruits and veggies (5 different kinds of each). The basket is $15. Then, on Saturday, you go and pick it up. The idea is that at least once a month, you will go an hour early and help distribute the fruits and veggies. Anyway, this week, when I picked up my basket, there were these long leafy things with tentacles on the end. My husband thought they looked like what he imagined a leek would look like, and after a quick Google search, we realized he was right. So, I looked up what I was supposed to do with them. It turns out that they are a mild onion type veggie. They need to be cooked before eaten. They can be put into salads, or in a few other dishes, but the most popular use is in Potato and Leek Soup. So, I looked up a few recipes and found one that looked promising. It was one posted on the Food Network here. I did a few other things, so I’ll walk you through it. 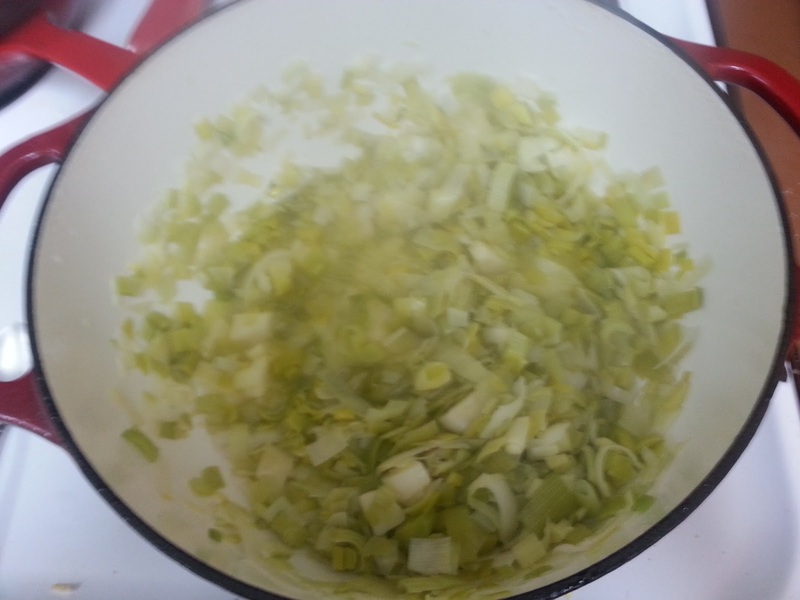 To prepare the leeks, I first cut off all of the dark green leaves. I also cut off the tentacle looking things that most people call roots. Then, I sliced what was left in half. I washed each layer as best as I could. Then, I cut them into pretty small pieces. In my 6 quart dutch oven, I melted 3 tablespoons of butter. I had the heat on medium-highish. Then, I put the leeks in the pot with a large pinch of salt and covered it for 5 minutes. By the way, I used about 5 leeks. After the first 5 minutes, I turned the heat down and let the leeks cook for another 25 minutes. I stirred them every so often. While that was happening, I peeled and cut 8 small golden potatoes. And, I didn’t have any vegetable broth, so I made some chicken broth from bullion cubes. After the leeks were good and cooked, I added the broth and potatoes and let them cook for 45 minutes. Don’t forget to stir occasionally. 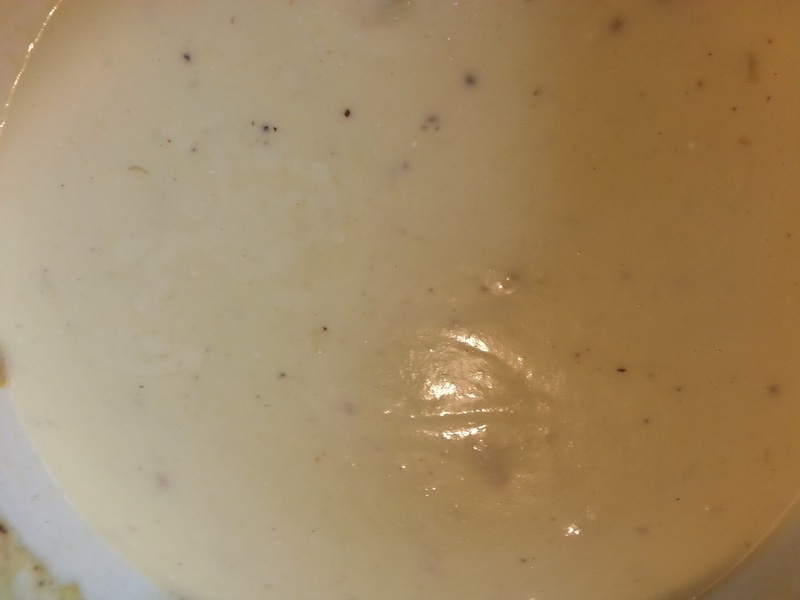 During this time I also made buttermilk since I didn’t have any on hand. Don’t worry, it’s super easy. Just put a tablespoon of vinegar into a 1 cup measuring cup and then fill it the rest of the way with milk. Don’t stir it, and let it sit for at least 5 minutes. At the end, as an afterthought, I decided to add some ham chunks to the soup. I just cut up some leftover ham I had in the fridge and added it to the soup. We are a HUGE meat family so it made my husband like it a little more. That’s it. I was pleasantly surprised about how much I liked it. I guess with a whole cup of heavy cream it’s hard to not be good, right?